Home > Entertainment > Has The iPod Changed Music? Going way back, the first truly commercial recordings of music were on easily breakable 78 rpm shellac discs, with one track per side. Eventually these were replaced by more flexible vinyl, which offer the 45 rpm single – again one track per side – the EP or extended play which had two tracks per side, and the long player or LP, which ran at 33 rpm and offered several tracks on each side. From there we moved to the cassette tape, which gave entire albums and then the compact disc. The beauty of the CD was that it could contain even more music, not just an album, but at times two albums on a single disc. More, after all, was better – people bought them like crazy and the music business flourished. The iPod and its competition, MP3 music players, at first seemed like a great idea, the next stage of the Walkman or Discman that allowed people to take music on the go with them. Of course, those devices and now personal digital music players have the effect of isolating us from the rest of the world behind ear buds and we live with our own little musical soundtracks. 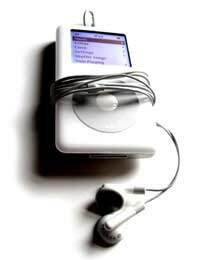 Music downloads were already part of the landscape when the iPod arrived and became an instant success. Some were legal, many were not, and the music business complained that pirating music was killing the business (just as they claimed home taping was once killing music), because CDs were no longer selling in the quantities they once did. The landscape really changed when Apple opened its iTunes store, where the music would work easily with the iPod – a device that uses proprietary software. The iTunes store allowed people to legally and very easily download tracks, and it rapidly brought to the fore a growing trend. Music was no longer being consumed by entire albums. People simple bought and downloaded the music they wanted – it could be one or two cuts from an album. Other services have grown to compete, and now music downloads are a huge business – in fact, they have their own charts. Until very recently – until the iTunes stores, in fact – music downloads were the province of the young. They seemed dangerously complex. But now it appears that everyone downloads music and everyone plays music on an iPod or MP3 player. However, you download music on your computer. You don’t buy it by going to a shop and browsing through CDs or vinyl. It’s done in isolation, at home. You might play the tracks through your computer’s speakers, you might burn them to a CD (depending on whether the digital rights management allows you to do that) for use in home or car, or you might copy them to your iPod (more and more car stereos allow you to hook up digital music players these days, too). In other words, between music downloads and iPods, we’re becoming more and more isolated in our consumption of music. In many ways we’ve taken the process of buying music full circle, even going past the point where it began with buying a shellac disc containing two tracks to simply downloading a track at a time. To download music has made the concept of “album filler” a thing of the past. The iPod and its competitors revolutionised the idea of music downloads, the way we buy music, and, as they’ve become far more ubiquitous thanks to their size than the Walkman ever was, even where and how we listen to music. Now that they include video players and downloads of TV shows and movies are possible, expect the way we watch to alter, too. But with the advances in technology, the net result has been that music, once something to be shared, has left us more alone than ever. Even if we share our favourites online, we’re still doing it in by ourselves.